At last, Zangetsu is reforged! Firstly however, Ichigo is remembering all the times Zangetsu saved him using Quincy powers, like when he activated Blut Vene. He then says that he’s sure that both his Inner Hollow and Quincy are Zangetsu, whilst he floats in his inner world. I still don't think the one on the left looks like someone you should trust with your life. Meanwhile, in the Soul Society, Ouetsu is still working at the forge when Ichigo, in another example of his callous disregard for his personal safety, plunges his hands into the flames and grabs his Zanpakuto. As everyone looks on, the forge glows with a shining white light. One of the sword five (the one with the long pigtails) expresses concern for Ichigo’s hands, but Ouetsu stops her, saying that it’s ok. He then says that it’s finished, and encourages Ichigo to take his Zanpakuto out of the forge. At this point, the extreme heat and spirit energy causes all the water in the surrounding area to evaporate. At this point, we finally get to see Ichigo’s new Zanpakuto. 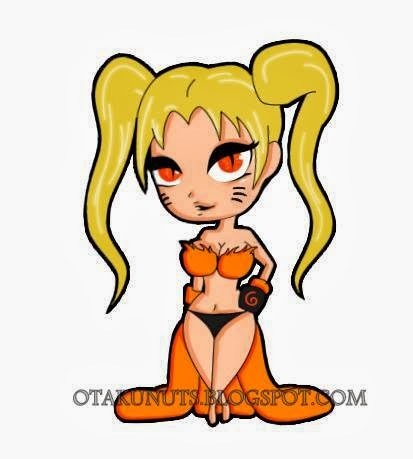 Or rather Zanpakutos (Zanpakutii? Zanpakutwo?). Yes, he is now following in the footsteps of Shunsui Kyoraku and Jushiro Ukitake, the only two Soul Reapers to have twin Zanpakutos. If you saw this coming, give yourself a cookie. It would seem that one sword (the long one with a resemblance to the original Zangetsu) is the personification (sword-ification?) 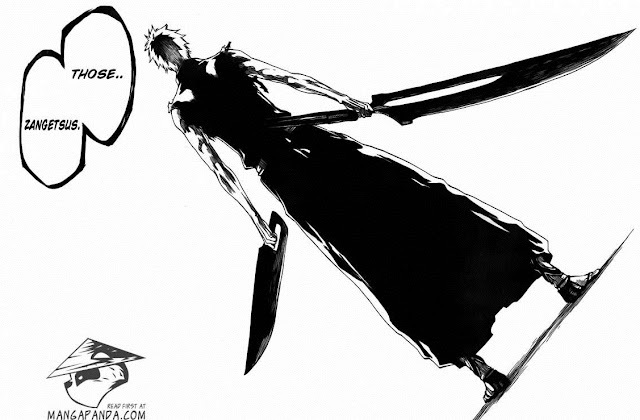 of Hollow Ichigo, whilst the other (shorter, hilt-less) sword is the personification of Old Man Zangetsu. 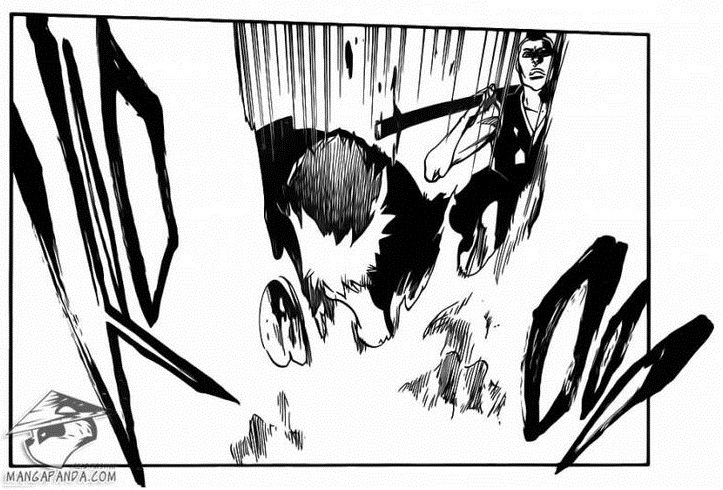 At this point, Ichigo resolves to fight on his own and not rely on Zangetsu’s power. A human-Soul-Reaper-Quincy-Hollow-Fullbring-hybrid wielding one Inner-Hollow-Zanpakuto and one Inner-Quincy-Zanpakuto. Meanwhile, at the Vandenreich base, the Sternritter are doing a salute which is fairly reminiscent of the Nazi salute. Yhwach appears on a stage in front of them and begins to address them, saying that he has some information for them. 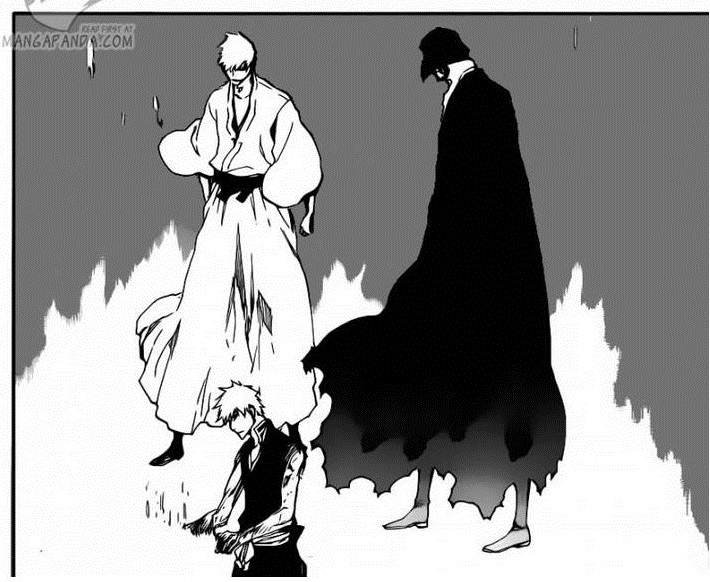 Ichigo’s new Zanpakutos look quite cool, but I can’t help but wonder what his Bankai will be now. 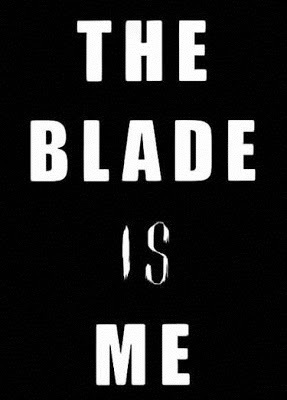 My guess is that the Hollow-Ichigo-sword will gain a fire effect (inherited from Isshin’s Zanpakuto) and the Old-Man-Zangetsu-sword will become a sword made of pure spiritual energy, similar to the one Yhwach uses. The fact that Ichigo now has two swords is something that seems really obvious in hindsight, and it’s something I never even considered. This gives a whole new meaning to the phrase 'shoulder angels'. Another thing I realised: If Zangetsu was able to lead Ichigo to Yhwach and identify him (as was confirmed last week), what’s to say that Yhwach can’t see what Zangetsu sees? If this is the case, then his information for the Sternritter could very well be about Ichigo’s new Zanpakutos. Good Things: Zangetsu is reforged. P.S. For anyone who's interested, the fact that Ichigo's Zanpakutos evaporated all the water would mean that they were exerting more than 50 megatons of nuclear energy. This translates into roughly 0.2 trillion Joules of energy. This means that (if I did my maths right) the water would have been heated to 4.3 million degrees Celsius before evaporating. Isn't physics fun? ClayDragon is currently studying Physics at university, and is constantly bewildered by it. The main method of contacting him is his Gmail account at kyleroulston1993@gmail.com. The alternative is his Skype account at kyleroulston1993. When not playing games or reading, he can be found with his head in his hands whilst trying in vain to understand quantum physics. He is disappointed with life’s lack of jetpacks. 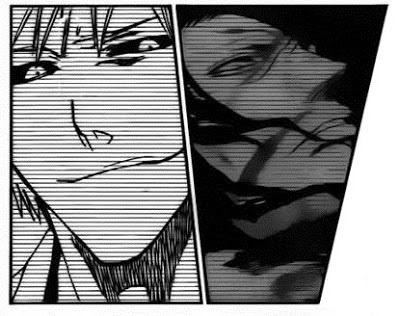 Ichigo: "Zangetsu, I won't have to fight alongside you anymore. I won't have to talk to you anymore. I won't have to mutually cooperate with you. Zangetsu:" Actually I'm still here an-"
Ichigo: "Shut up Zangetsu, I am be one with you......"